The Bugaboo Cameleon3 didn't make it into the top half of the products in this review. It has some interesting features, and it scored well on safety and quality, but it failed to impress us in many of the performance metrics we test. Given the comparatively high price tag of this stroller, we had expectations that it would fare better in our tests against the competition. With several strollers costing far less with higher scores, it is hard to truly love this stroller, though it might be a sleek urban dweller that meets the needs of those looking for a sharp looking ride that works well with a car seat. The Bugaboo company creates high-end quality strollers to help people "move freely". Bugaboo started in 1994 by developing what they call "game-changing" products. They try to make gear so families can explore the world in "comfort and style". This chart shows a comparison of overall scores for the strollers we tested. While this stroller did not score high enough to earn an award, it is worth noting that it scored better in our Car Seat and Stroller Combo Review where it won an award. The sections below offer additional information on the performance of the Cameleon during testing in each metric. The Bugaboo has an ease of use score of 6 of 10 which is just higher than average for the group. The Cameleon requires two hands to fold, does not have an auto lock, self-stand, or carry handle. It takes 5 steps to fold and is hard. The fold requires the removal of parts and means you will also be carrying or storing multiple items. Removing the seat is time-consuming and results in a two-part package. Unfolding the stroller is easier (though still only average) and also requires 2 hands to operate. This stroller has a single action handbrake that is easy to set and release. You need to watch that the lever doesn't "slap" the back of your hand when you release it and it is stiffer to set than the other hand brakes. While the storage basket on the Cameleon can be removed and carried as a bag, it is hard to fit much in it given the frame bar that runs across the top of the basket. The storage bin is smaller with a maximum weight limit of 8.8 lbs. We fit our medium diaper bag inside with easy access from all sides. The basket can be removed and used as a bag, but it isn't a quick process. The sunshade is large and has a UPF rating of 50+. It is nice looking, but it lacks ventilation and a peek-a-boo window which ruins the happy dance we want to do. A lot of parts need to come together in order to use the buckle on the Cameleon. This Bugaboo has a 5-point harness that is easy to put on and even easier to take off. It has adjustable shoulder and crotch straps that adjust smoothly. There are six pieces to put together, but it still manages to be easy to assemble. Recline of the Cameleon seat frame happens with pushing buttons on each side simultaneously. The stroller does not have an adjustable leg rest, but it does have a footrest. The footrest is wide and covered with durable unpadded material. The seat back on the Bugaboo reclines and requires two hands to press the buttons at the same time. Some find it difficult to adjust the recline from the back of the stroller. The Cameleon 3 does not have any car seat compatibility standard, but you can purchase adapters for the Peg Perego Primo Viaggio 4-35, Chicco KeyFit, Chicco KeyFit 30, Britax B-Safe, B-Safe 35, B-Safe Elite, Cybex Aton 2, Aton Q, Maxi-Cosi Mico AP, Mico NXT, and the Prezi. We tested the stroller using the Chicco 30 adapter. To use the adapter you need to remove the seat. The adapter clicks into the stroller and the car seat clicks into the adapter; there are no straps attachments. The car seat falls into place with very little effort or pressure needed. It is also easy to remove and feels really stable. We did not experience any problems installing the seat. The Cameleon took over 14 minutes to assemble earning it a low score. The documentation is poor, and the pictures are a little confusing. The Cameleon has rubber foam filled tires. 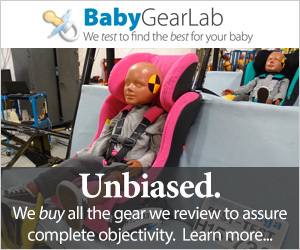 The Bugaboo earned a 6 of 10 for maneuverability in our tests. This stroller has a smaller footprint that helps it make tighter turns. It rolls fairly smoothly, but it doesn't turn as easily as some of the others, and the frame has a decent amount of flex that makes it harder to push. It is a relatively easy stroller to push with 2 hands, and 1 hand is possible but harder than the competition. Rolling on the carpet is more difficult. The swivel wheels and suspension on the Cameleon are both adjustable. The off-road rolling is tough in standard mode but gets easier in off-road mode. The steering is hard to get used to and we had trouble with it some front tipping over the curb and both front wheels fell into the grate when we tried to traverse it. The off-road mode gave this stroller a score bump it wouldn't have otherwise had. The Cameleon can fold into 2 pieces making it potentially easier to stow. This stroller earned a low score for weight and folded size. It weighs 25 lbs and 2oz and measures a total of 16,002 cubic inches. The weight is above average for the group, but the folded size is larger than all but a handful of other strollers we tested. Quality is one of the only metrics the Cameleon excelled in. This Bugaboo performed well in our tests for quality, which isn't a huge surprise given its higher cost. The Bugaboo earned a 7 of 10, but most higher scoring options cost less than this stroller. The fabric on this stroller is some of the nicest in the review. The entire seat is very soft, finely woven canvas. It seems durable and withstood our tests for snagging. It might be more difficult to clean, but it seems worth it given the nice feel. The footrest is a stiff, slick, heavy canvas and the canopy is a softer canvas that is slightly thicker and more durable than the seat canvas. The basket is the same heavier canvas as the canopy. The aluminum frame on the Bugaboo is a little more robust than that found on the Bugaboo Bee3. The frame feels solid and has a nice finish. The fit and finish of this stroller are clean and the fabric lays nicely. The wheels on the Bugaboo are foam filled rubber. The handlebar on the Cameleon has a telescoping adjustment. The Cameleon3 has an adjustable handlebar with an average feel thanks in part to almost flat tubing. The bar is a little higher than the Bee 3, and it is reversible depending on stroller configuration. This stroller only has shocks on the front wheels, but they are adjustable. It has a sling style seat with good padding, but it jiggles in a similar way to the Baby Jogger City Select. We think these elements combine to create a more comfortable ride. Amazon $699.00 - 39% off!